Lori studied classical organ at American Conservatory with Dr. Robert Lodine and played music by Bach, Hindemith, Sowerby, and Messiaen. She also plays for a Catholic Church in the Chicago area. 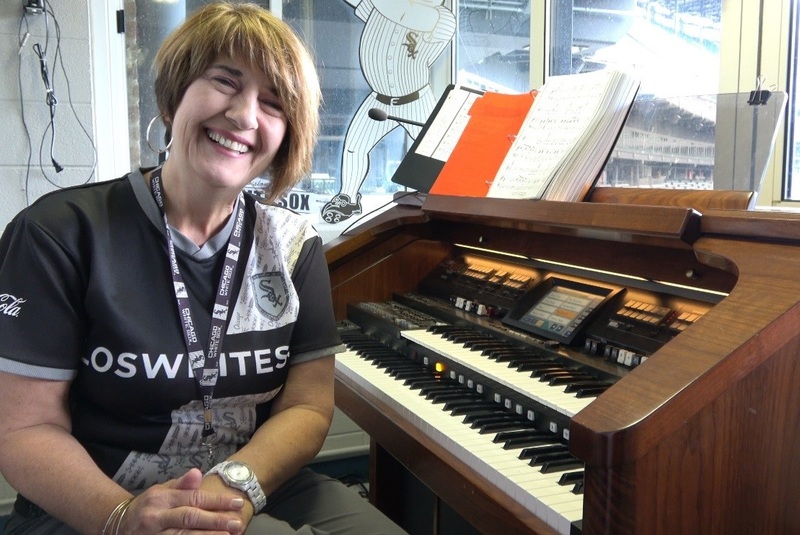 The Roland AT-900 sends a fully-digital, stereo signal directly to the house sound system which makes the organ sound “great in the stadium.” By contrast, the organ at Chicago’s United Center sends mono sound to speakers in a concrete room (which then becomes analog sound) which is picked up by a microphone and broadcast to the house system.